After what seemed an eternity of drafting, the NFL now has its newest crop of young talent ready to display before the masses. There were trades galore during the primetime event Thursday, Friday and throughout out the day on Saturday. Most of them were for good causes as fans and teams alike were delighted by the free movement in and out of rounds that allowed teams to actually get what they coveted. As a southern style blog/report, we will focus mainly on the NFC South as I may choose to review others as I see fit(or upon request). The Southern Division had two clear winners as the other two were riddled by either previous trades or penalty by the league. The Carolina Panthers and the Tampa Bay Buccaneers cleaned up early and often in hopes of returning to the forefront of a division they not too distantly controlled before. The Bucs really went after it in this draft. First they traded down out of the top 5 and had a hand in making Cleveland trade up one spot for RB Trent Richardson. 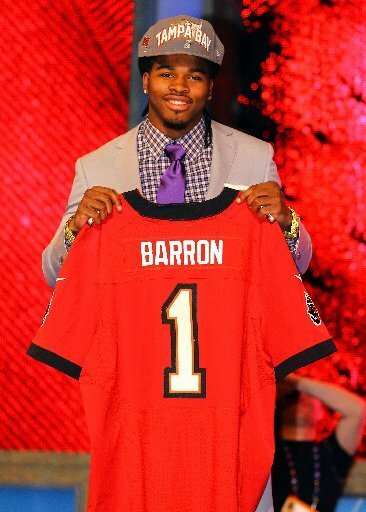 With the 7th pick they took Alabama SS Mark Barron. Instantly they gave themselves production in the back 7 they sorely needed. Next at the bottom of the first they traded back in to select Boise St RB Doug Martin, complementing Blount in the backfield. Hopefully this will take some pressure off of the struggling QB Josh Freeman. In the 5,6, and 7 rounds they added youth and depth at positions of need adding a linebacker a corner, another running back and a tight end. The first round alone is enough to give the Bucs an A but they kept at it in the later rounds giving this team a new look and hope for the near future. Early on the Panthers looked to be the team that would land the top D-Tackle prospect in the draft were they to select Mississippi St. bulldozer, Fletcher Cox, in a mild upset the Panthers elected to go with the super talented inside linebacker Luke Kuechley. Immediately fans jumped all over the pick wondering why they would pass on such a glaring need such as DT in lieu of a linebacker. The Panthers would not be swayed as their very next selection caused even more heads to tilt in wonder when they selected a D-II offensive guard, Amini Silatolu. After the early misdirection the Panthers got back on track using all of their remaining picks to hit major areas of need: DE, CB, WR/PR, and S. After the initial shock of the early rounds(and a couple YouTube highlight videos) my nerves calmed and I began to appreciate the direction and overall quality of Carolina’s decisions. Kuechly will be a stud and Silatolu will be a monter in the middle and Carolina is fast approaching one of if not the most talented Special teams units in the League. Not much to see here as they gave up the farm last year to acquire WR Julio Jones. Two offensive lineman, a full back, defensive end, strong safety and a d-tackle. Most everything this team needs on defense was addressed in the draft. The only thing missing now on defense is talent. Julio better be good next year because they are going to have to score a lot of points in this division. Oh boy, where to begin with the continuing disaster that is the NO Saints offseason? How about the first round, no? Okay then how about the 2nd? Not there either? The 3rd? Yes finally the 3rd round selection of the Saints was a DE from Regina, Akiem Hicks. And that pretty much does it for name recognition for the Saints draft. A WR, SS, G, and Tackle round out the late rounds. Look on the bright side New Orleans, you still have Drew Brees, right??? There you have it folks, NFC South draft wrap ups and grades to drink in. The South should be interesting at the least to watch. We very well could see a reversal of fortune for those that have held this division under there thumbs for a few years now. The Panthers and Bucs are seriously gaining ground on Atlanta and New Orleans is only one more scandal away from being the ‘Aints again. Keep it glued right here on True Talk, your source for Southern Sports! 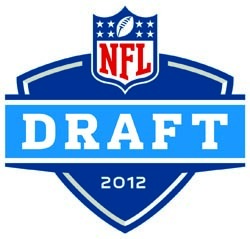 Last year about this time you could not read a single printed word about the NFL draft with out it inevitably leading to a backhanded remark to the potential number one pick, Cam Newton. It began with the inflammatory comments about Cam’s willingness to be a star, entertainer, and icon. From there it snowballed to an all out assault on his character. 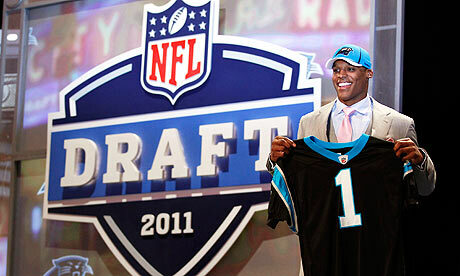 In the end it had very little effect on his draft position as he went number 1 overall to the Carolina Panthers. Fast-forward to this year and it seems that the same trend is continuing with this crop of draftees. Recently, it has been reported through unnamed scouts that two of the top three projected picks are now character risks and teams should be wary of drafting these players early. Robert Griffin III(QB, Baylor) has been reported, much like Cam Newton was, as a selfish, me first kind of player that has the makings of a bust in the NFL, while Matt Kalil (T, USC) is being touted as an entitled child. These reports are coming from left field and no one is sure about the motives or the lack there of behind these allegations. It’s puzzling to say the least. I’m wondering why these reports would come out the week prior to the draft and why anyone would attempt such a brazen strategy to hurt the “stock” of a potential player. The cynic in me says that these unnamed sources are just front office personnel that would hope for one of these players to slide to their particular team so that they themselves could select this player and rejoice in their victory. However, the flip side of the coin is that these sources have actually found something of a red flag in these top prospects that worries them about their projection to the next level. For these two specific examples, RGIII and Kalil, nothing leading up to the draft or during their careers have sent any negative vibes about their potential. 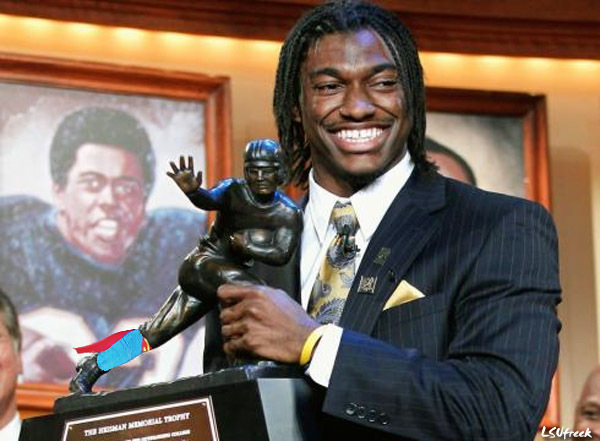 RGIII is a Heisman Trophy winner and each of his interviews have been exemplary. The Baylor standout has awed fans and scouts alike on and off the field. Nothing has even hinted that this future NFL QB is a selfish me-first player. Is he just good at interviews? Does he revert to his true form when the cameras are off? Only a select few people know him in that context, unfortunately I am not one of them. RGIII looks like a good prospect with a bright future with a team that will need him. Kalil is somewhat more of an unknown quantity than his Heisman winning counterpart. 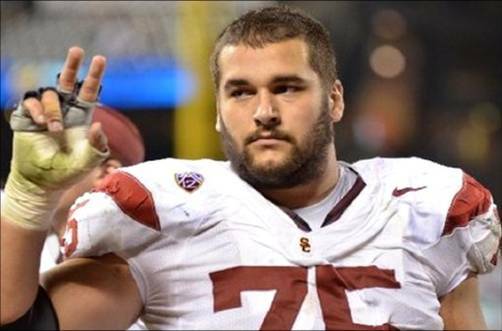 Matt is the younger brother of current starting center for the Carolina Panthers, Ryan Kalil. It’s extremely hard for the general public to gain a proper perspective on an offensive lineman. Offensive lineman live by the code of if you don’t hear their names then they have done their job. This is what makes it so difficult to get to know them personally. The main thing for an offensive lineman is to be noticed without being noticed. Sounds tricky, huh? They do that by creating gaping holes and lanes for their skill players to exploit. Just think, who are usually the first teammates to reach the end zone in celebration after a running back breaks a long touch down run? That’s right, the big guys up front. So, why would we only hear about Kalil’s sudden entitlement issues 7 days before the draft? Your guess is as good as mine. I firmly believe that these two kids will get drafted 2 out of the top three spots and these recent reports will be listed as story lines all the way through the draft and mini-camps, OTA’s and training camp. Only until these guys step onto the field and display their talents will these unfounded reports be validated or forgotten. I’m sure that the two players described above hope that their rookie seasons come close to that of the previous years number 1 pick. If they do we will all know that these sleazy shock news reports were just draft fodder to drum up controversy right before 8pm April 26, 2012 at Radio City Music Hall in New York, NY.